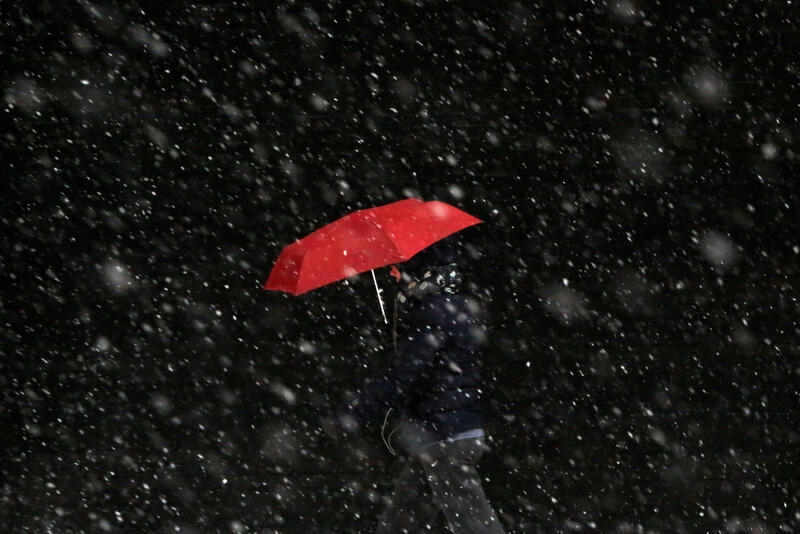 Bitter cold, snow, deadly roads: Winter weather arrives in the U.S. Snow strechted across the rockies into the Midwest, CBS News’ Jamie Yuccas reported. At least nine deaths were blamed on the slick roads and authorities were investigating a few other traffic fatalities as possibly weather-related. Perhaps the biggest accident happened in Baltimore, when a tanker carrying gasoline skidded off a highway and exploded, authorities said. Maryland Department of Transportation says 67 vehicles and one tanker were involved in the crash near the exit for Washington Boulevard on I-95 North just before 5 a.m., CBS Baltimore reports. It was unclear whether the pileup started before the tanker crash or was caused by it. Traffic was at a stand-still for hours while crews assessed the situation, according to CBS Baltimore. Authorities say the tanker went off the bridge and fell down to the street below. “My family has a Christmas party ... and I was hoping to make it to that tonight, but that’s not going to happen anymore,” the 23-year-old said. In Indianapolis, Indiana State Patrol troopers responded to more than 380 property damage crashes from 10 p.m. Friday to 2 p.m. Saturday, CBS affiliate WTTV reports. Sixty of those crashes involved injuries and two were fatal, state police said. In addition, state police reported more than 150 slide-offs and provided help to an additional 150 drivers. The roads were so slick that authorities had to move motorists stranded on an overpass with a ladder. Temperatures plummeted and people braced for the cold. Temperatures in the Minneapolis-St. Paul area were expected to drop to minus-20 degrees overnight. According to the NWS, wind chills will drop to 35-45 below zero overnight Saturday and remain there into Sunday morning, CBS Minnesota reports. People were advised to stay indoors for the weekend. Six inches of snow blanketed the Twin Cities Saturday morning, CBS News’ Jamie Yuccas reported. Officers said there were nearly 500 crashes on Minnesota roads. The low temperature was expected to reach 4 degrees in Chicago on Sunday. At least three highway deaths Friday in Missouri are being blamed on icy conditions. The Missouri State Highway Patrol crash reports ay a 13-year-old girl died from injuries suffered in an accident when a tractor-trailer lost control on ice on Interstate 44, striking a Jeep Renegade driven by the girl’s mother. Reports say two men, ages 72 and 56, died in separate accidents when the vehicles they were in went out of control on ice. In Tulsa, Oklahoma, a fire caused by gas burners killed an eldery woman, CBS News’ Jamie Yuccas reports.